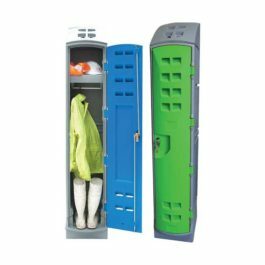 This is a large locker that is wide and deep and is ideal for keeping sporting equipment and musical instruments safe and secure. 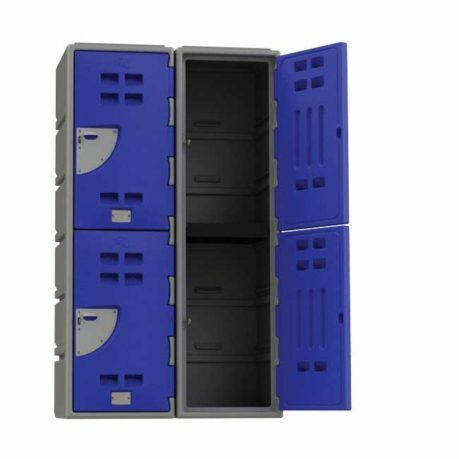 Each locker compartment body is 490mm x 485mm. 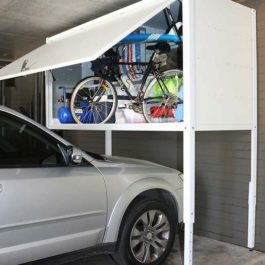 The large lockers are made of Heavy Duty Polyethylene and have a high grade stainless steel hinge making them ideal for coastal locations, wet areas and outdoors. They are easy to clean, just hose them out and graffiti is easier to remove with no painting required. There is a range of accessories such as Coin Return Plates and Kicker Bases that can be added to the lockers to ensure you get the ideal product to suit your environment.